It may seem like I haven’t been baking much lately. But that’s not the case at all, my friends! I’ve actually been in the kitchen more so than ever. You see, I’ve been making lollipops. The whole adventure came on suddenly but has proven to be rather amazing. And, get this! I’m going to be selling them any day now! So I made a bunch of flavors. Some were great, some not so much. But I kept going and going until I ended up with some pretty remarkable flavor combinations. And they’re really beautiful to look at as well. 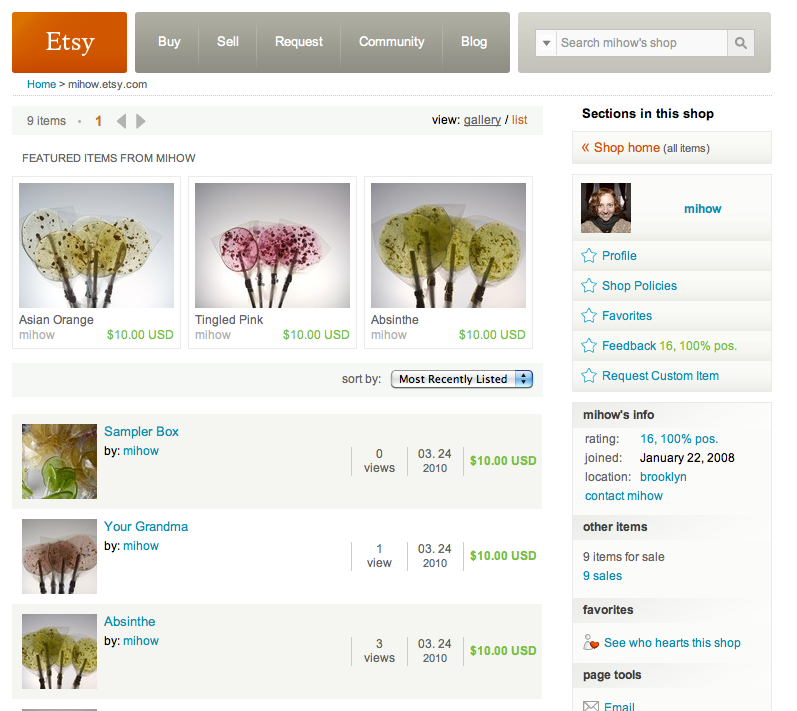 Excited, I put them up for sale on Etsy and sold hundreds of bucks worth of lollipops within the first couple of hours. I was shocked and totally geeked about it. But we decided I moved a little too fast. And since Toby Joe and I like to do things the right way, we refunded all of the money we made, sent out a few freebie packages, and immediately started the process of getting all our paperwork in order; we should be up and running within the week. In the meantime, go to my Etsy shop and mark it a favorite. 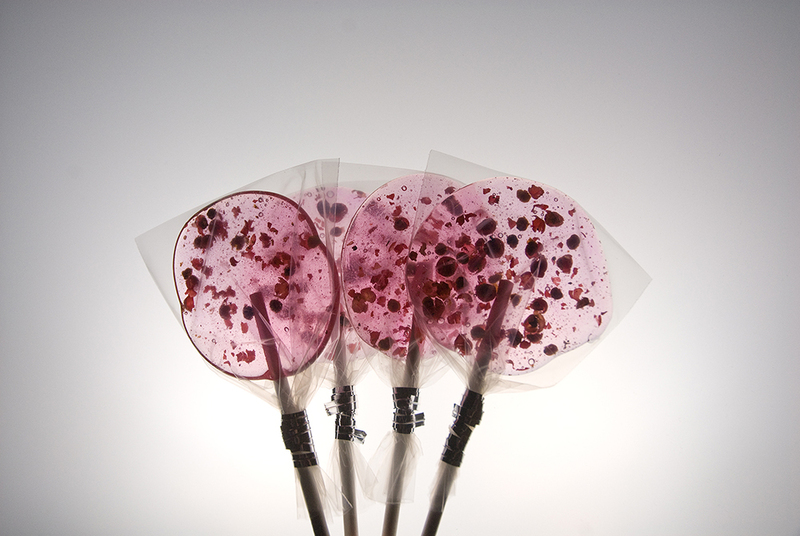 All of my lollipops are made without corn syrup. They are all vegan. They are all really quite beautiful to look at. And they are all made with a great deal of love. I combine flavors such as pink peppercorn and watermelon; oranges, sesame oil and hot peppers; bananas and peanut butter; mango, Tabasco and lime. There’s even one for the youngsters called The Box Office that combines butter with actual popcorn. Kids go nuts for this one, NUTS! I will be back with Mom It Down next week—like the real deal. I have a peanut butter cookie that simply must get some recognition. Previous Post Tuesdays With Murray (Chapter 128) A New Diet. Next Post Generations in Pictures. I am seriously excited about this!!!!! Beautiful presentation and the flavors sound so intriguing! Do you think you’ll have everything ready to go by Mother’s Day? I think my mom was get the biggest kick out of these. Congrats, mihow. You done good, girl! I certainly will have it all ready by mother’s day! And thank you, Roo. You made my morning! I hope you make millions. Congratulations and good luck! They look amazing! Very very pretty I bet they’re delicious. Please have some orangey honey lemongrass gingery flavor too would love to try some soon. I’m really excited for a few weeks from now whenever my latest batch of extracts and oils are ready to go. I have some great ideas and I do hope that they turn out as I imagine. Thanks again, everyone! And I do hope that you’ll swing by in the future. This is so extremely awesome. Who would have ever seen this one coming? Congratulations! Tee hee. Can’t wait to try “first trimester”! Congrats–they look beautiful (and tasty)! All those flavors sound delicious! She’s always up for different flavor combos. I’m particularly excited for Tabasco and lime!!! I’ll be checking in over at Etsy soon. Keep at it! Murray wanted me to tell you that you are a genius. And thank you, he’ll pay you for your time later. I saw the link last week or so from one of your Twitter postings but I was frustrated because it wouldn’t let me order any! Now I understand! I can’t wait until you are up and running! They look beautiful and delicious, can’t wait to try some! Good luck! What a brilliant idea!!! You’re completely right, they look so cute! I bet they taste as great as they look! Awesome! And thank you for making them without corn syrup….I mean, I know you didn’t do it JUST for me, but this is really great. I love hard candy, but have given up eating it because of the corn syrup issue. Can’t wait for the store to go live! Nico: I owe you a visit! 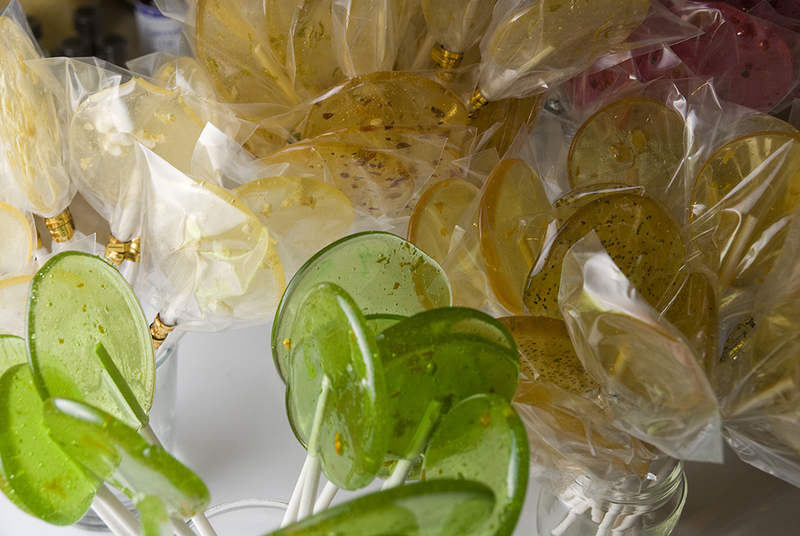 Hopefully, it will include fresh lollipops. :] And soon. Wendyr: My pleasure! It took some work and a some mistakes and a lot of mess, but it paid off. Awesome and beautiful! Hey maybe you could incorporate some of the circle lollipop sticks that are made for kids (safety pops). Great idea! you mean so they don’t impale themselves on the bottom stick part? 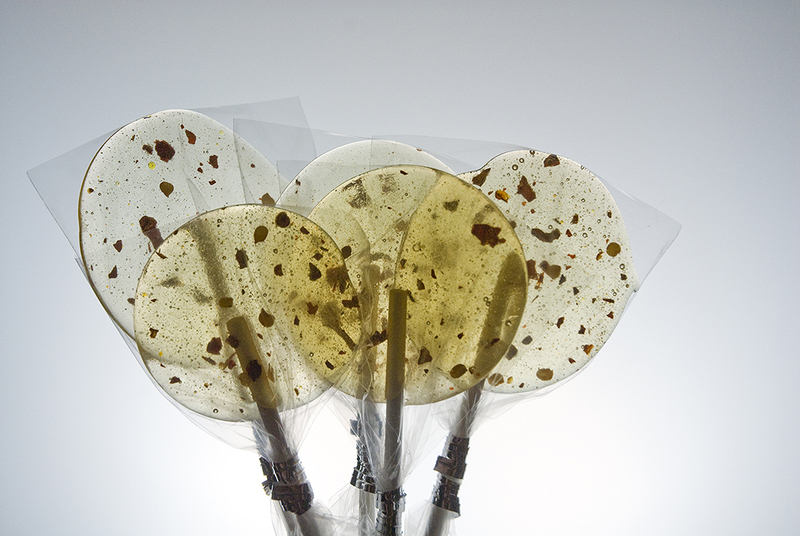 @Mihow…Safety pops are for the aforementioned not impaling issue, but also(!) so that the kid can loop their finger through the stick securely and avoid possibly choking on the lollipop. And yours look beautiful! He is a chocolate boy, like his mom and dad. Alyce: Thank you! You’re the best! Oh, don’t get me wrong, Emory LOVES sweets. it’s that anything that takes too long to eat? He loses interest in. However, he is walking around right now as I write this eating a Box Office. SO… maybe I broke him! Michele!!! These look fantastic. I started my errand business earlier this month, and I’ve been looking for a little “leave behind” treat for my customers..